The Trump administration appears to be considering whether lawful immigrants should be deported after receiving a certain amount of public assistance, according to a draft of an executive order obtained by The Washington Post. The draft order appears to be premised on the notion that immigrants place an untenable burden on the economy through their use of public assistance. 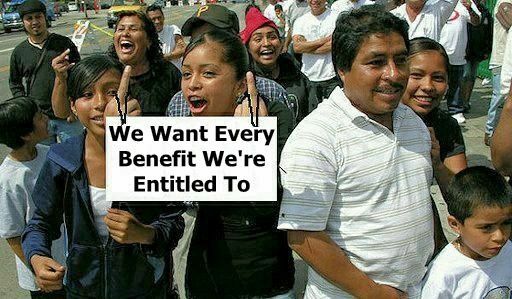 It asserts that immigrant households are “much more likely than those headed by citizens to use Federal means-tested public benefits,” which include Medicaid, SNAP, housing assistance, supplemental security income, TANF, and general assistance. However, it offers no evidence for that claim. Amazing. Trump and his advisors are really thinking out of the box.